We are delighted to inform you that BANT’s Annual General Meeting will take place on Saturday March 23rd 2019 at a Mary Ward House, 5-7 Tavistock Place, London WC1H 9SN from 9.30am. Following on with our tradition, we have another exciting and full agenda reporting on key achievements and future plans to further promote the standing of our profession and the recognition of BANT Registered Nutrition Practitioners in 2019. 2018 has seen the growth of reach and scope of Nutrition and Lifestyle Medicine and it is even more important now for BANT to keep abreast of professional and regulatory developments that are key to the future of our practice and success of our members. 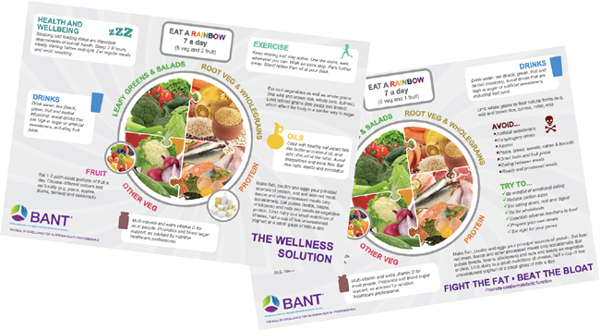 BANT Nutrition Practitioners have been practising Nutrition and Lifestyle Medicine for over 20 years and as the leading professional association in this field, BANT is invested in ensuring the standing of the profession and its members for the future. In early 2018 BANT changed its name to British Association for Nutrition and Lifestyle Medicine to further align with this emerging field of practice that so well describes what we do, and better explains to the public the practice. HAPPY FESTIVE SEASON TO OUR WONDERFUL BANT MEMBERS! As we approach the end of the year, BANT Council would like to thank you very much for your ongoing support for the work that we’ve carried out over the last 12 months! BANT’s ultimate aim is to support its members. This year we have done that by consolidating our presence in the emerging Lifestyle Medicine space, thanks to our name change to British Association for Nutrition and Lifestyle Medicine. BANT has also worked to strengthen its position at the heart of the nutrition debate going forward by being fully engaged with stakeholders, as well as regulatory and professional bodies. Additionally, BANT volunteers and managers have been engaged in projects that further support BANT strategic objectives by increasing media presence and promoting the profession and our members. Supporting the professional standing of BANT members with additional CPD resources, Regional Events, Professional Supervision opportunities and continued PPC (Professional Practice Committee) support is also part of BANT’s commitment to its members. 2019 is going to be a very exciting and busy time for BANT, the profession and the UK in general. We look forward to continuing to work with and for you to further focus our efforts so that we can continue to develop as BANT Nutrition Practitioners. As we near the end of 2018 it is time to think about renewing your BANT membership. Your current membership expires on 31st December 2018 with the new membership starting on 1st January 2019. We would like to thank you for your support this year, which has enabled us to carry out vital activities and projects on behalf of you and our profession. You will be able to renew your BANT membership any time from 1st to 31st January 2019. This year we have increased the membership fees, this is the first time in six years. This will allow us to work on increasing the number of activities that BANT undertakes. As well as many important strategic initiatives, this includes increasing our impact and engagement with professional and regulatory forums to protect BANT and its members’ reputations.